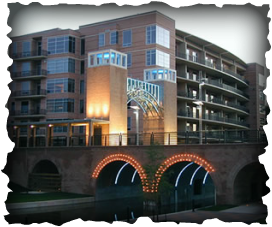 The Waterway Lofts are made up of two buildings, Waterway Lofts I and Waterway Lofts II. Each building is 6 stories with 36 units. Amenities include: Controlled Access Building | Controlled Access Parking Garage with Assigned Parking | Pool | Hot Tub | Summer Kitchen on the Pool Deck overlooking the Waterway and Storage Lockers.